DALLAS, TX / ACCESSWIRE / February 12, 2019 /70,081 fans, 2,491 cars, 39 limos, 36 buses. An often-overlooked feat of skill and strategy takes place just before the Big Game begins - and it happens in stadium parking lots. For the fourth consecutive year, SP+ GAMEDAY selected ParkHub, the leading B2B parking technology provider, to support their parking operations team in servicing the ultimate showdown in football. The results are in: at the peak time of traffic, parking payments and passes were processed in less than six seconds and fans were happily on their way. The challenges parking operators face handling a large volume of traffic are numerous: lot occupancy tracking, potential overflow, cash slippage, and managing thousands of credit card transactions and prepaid passes - to name a few. The goal: to make parking so slick and easy, fans don’t think about parking challenges at all. The company uses ParkHub's mobile point-of-sale device, Prime, to accept payments and authenticate prepaid passes in real time, while ParkHub's business intelligence platform, Portal, reports real-time data to the parking managers of the stadium, giving them the ability to track each transaction in every lot down to the specific parking attendant. "Working with ParkHub and their dashboard allowed us to communicate information to our clients in real time," reports SP+ Gameday VP, Cristine Paull. 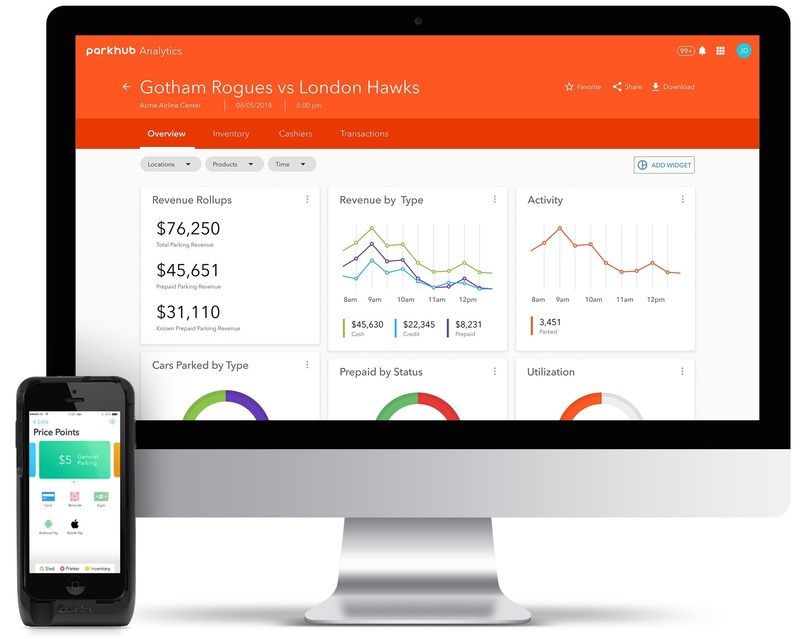 With streamlined operations and real-time insight, ParkHub helps parking professionals improve customer service and drive revenue. ParkHub's customers include premier professional sports and entertainment venues, and the company manages over 1.4 million parking spots and has parked over 18 million vehicles to date. "It's great to work with SP+ GAMEDAY year on year and see their team maximize our platform to ensure seamless operations," said Jessica Leichty, ParkHub's Senior Operations Manager. "We are proud to be part of the service they deliver to the fans." ParkHub is a Dallas-based technology company that provides software and hardware services for the global parking industry. The company's products provide multiple payment options, real-time reporting of parking revenue, support for dynamic pricing, and inventory availability and control. ParkHub validates prepaid passes from many parking and ticketing providers. Founded by parking industry veteran, George Baker Sr, ParkHub has effectively fast-tracked traditional parking operations into the digital age. For more information, visit www.parkhub.com.